We modeled our octagonal readers on the Bagua, an eight-sided Feng-Shui tool. Better sight and better balance, all at once. Balance the eight sides of your life in these Feng Shui-inspired frames. Inspired by the eight-sided Feng Shui bagua tool these frames are unique in shape and bring a balanced blend of class and playfulness to the fresh faces that sport them. Handmade acetate available in three colorways. Clark Kent has nothing on you. Metropolis has a new super man in town! Large classic frames with modern angled bottom rim and teardrop lens shape. Our distinguished yet hip reincarnation of a trend that seems to transcend decades. From The Man of Steel to Woody Allen to Buddy Holly to (insert your name here!). We’re adding new colors ALL. THE. TIME. And just in time for breast cancer awareness month our Pink Mirrored lenses have arrived! Now, to figure out which pair of sunnies to put these in…. Last Saturday, Fantom Optics was involved with Serving Our Troops at St. Paul’s Xcel Center. More than 200 National Guard are deploying but before they leave, Serving Our Troops treated them and their families to a steak lunch. Over 6,000 cookies were baked, 3,000 steaks were grilled and more than 2,800 heros and their families shared a meal. Since 2004, over 70,000 steaks have been served to our troops and their families. Join Fantom Optics, and help us support our troops in 2014. CBS has a great video you can watch here. Fantom Optics continues a tradition of “Serving Our Troops.” Since 2004 Fantom Optics has actively supported and participated in the Serving Our Troops program. The premise is simple, dinner with your family. As Serving Our Troops prepares to embark on its upcoming projects Fantom Optics will once again be a part of the supporting team. Beginning May 1st, 2014 Fantom Optics will offer a limited edition Support our Troops lens cleaner. A percentage of the proceeds will be donated to the Serving Our Troops organization. We are asking you to Support Our Troops by purchasing this limited edition lens cleaning product and helping Fantom Optics serve it up for our troops! 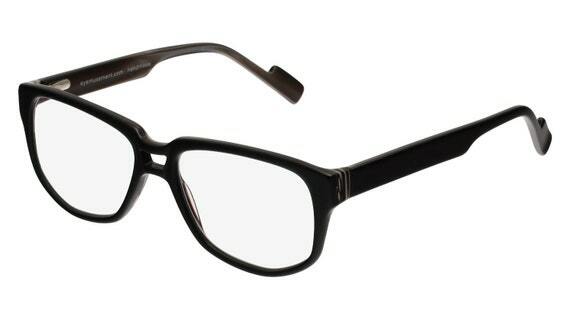 The Business as Usual frames might play it safe, but they certainly attract and unusual amount of attention. Available in 3 colorways. Shop now! Just as adventurous as their namesake, our take on aviator sunglasses bends expectations. Shop now! Have you checked out our new line of stylish readers, AND sunglasses? If not, you should. You won’t be disappointed. Eyemusement joined the Fantom family this year and we are SO excited to bring you such fun, vintage-style sunnies, frames, and readers. Eyemusement was recently featured in Midwest Living Magazine! As a Minnesota-based company we’re honored to work with local designers Mary Jane Pappas and Susan Moore to continue to launch new styles and colorways. Our Monaco sunglasses remind us of the glamour of the French Riviera. Princess Grace? Brigitte Bardot? The paparazzi may get flashbacks when they spot these sunnies. The Monaco is available in two colorways. Shop now! ST. PAUL, MINNESOTA – Fantom Optics based in St. Paul, MN is preparing for their attendance at the upcoming Vision Expo West in Las Vegas, NV. Vision Expo West is the world’s most inclusive ophthalmic conference and expo with more than 475 exhibitors, 5,000 brands and 375 hours of continuing education. Fantom sources high-quality products from markets around the world and provides products and services to traditional and on-line optical retailers. “International Vision Expos, the worldwide conference and exhibition for eye care and eyewear, are trade-only events which draw more than 30,000 eye care professionals each year. Co-owned by Reed Exhibitions and The Vision Council, International Vision Expo gives back to the entire ophthalmic community. Proceeds from International Vision Expo are used by The Vision Council to educate consumers about the importance of vision care and the options in eyewear and other related products. In 2012, The Vision Council reached millions of consumers with its messages through marketing materials, public relations outreach and strategic partnerships.” For more information and to register, please visit www.visionexpowest.com. Fantom Optics Announces the Hiring of Marketing Director. ST. PAUL, MINNESOTA – Fantom Optics announced today that Sarah Keys will be the Director of Marketing. In this role Sarah will manage PR, Social Media initiatives, and SEO strategies for the Saint Paul, MN-based optical product and marketing firm. In addition to Sarah’s marketing role she will also support operations and business development within Fantom’s existing wholesale and retail channels. Sarah previously held a position with Fantom Optics managing the sales and operation of Fantom’s Lens cleaner; Diamond Glaze. With experience in both small business and corporate arena, Sarah’s skillset aligns with the goals and expansion opportunities for Fantom Optics. Sarah holds a B.S in Marketing and Management from St. Catherine’s University, St. Paul, MN. With personal ties to the community Sarah is eager to grow the local St. Paul brand and product lines. Distinctive Sunwear, Exceptional Quality, and Extraordinary Value. Fantom Optics announced today it has formed a strategic partnership with Eyemusement, a Minnesota-based company that sells unique, stylish designer reading and sunglasses. The agreement involves both sales and operations for both companies. Fantom will be able to bring Eyemusement’s unique frames and glasses to new customer channels while helping Eyemusement manage and expand outreach to additional online customer groups. Fantom Optics is excited to be able to introduce the Eyemusement Reader and Sun Reader product lines to our existing distribution channels, said Dan Galles, President of Fantom Optics. It continues Fantom’s ability to offer the market place new, premium quality optical accessories at a time when the market continues to expand and evolve especially via the internet. This deal makes sense for everyone involved because we are both like-minded companies that operate on the principles of high-quality products, fairness, honesty, and customer service, said Susan Moore, Eyemusement President. ”Our companies complement each other and this partnership allows us both to expand into new areas. Eyemusement’s mission is to draw inspiration from all sources–retro American looks, vintage French style, chic friends, nature, and Feng Shui, to name a few–and reinterpret these into modern reading glasses and sunglasses. Our glasses are unique in coloration and design, and are handcrafted from the finest acetates and metals. Eyemusement products appeal across cultures and generations, and our price point is such that anyone can afford a truly exceptional pair of glasses. ST. PAUL, MINNESOTA – Fantom Optics announced today it has named Jessica Langness to the position of customer service team leader. Langness will be responsible to developing and managing relationships with key customer groups and organizations. She will also help manage marketing for the company’s customer sunwear optical product line. Langness’ focus will be on key Fantom accounts throughout the continental United States. Fantom provides a growing list of high quality optical products and services to wholesale and other distribution channel customers. The company has been serving customers from almost four decades, starting first by helping people clear and clean lenses by using Diamond Glaze. Customer relationships developed by first selling lens cleaner and related products served as the foundation to help expand the company and its product line. For additional information, please visit fantomoptics.com or call 800-322-6644. ST. PAUL, MINNESOTA – Fantom Optics based in St. Paul introduces Fantom Rimless custom clip-on sunwear. It is the latest addition to the premium family of clip-ons which also includes the FantomClip (semi-rimless), and the UltimateClip (top bar, fits every frame). Fantom Optics offers Distinctive Sunwear, Exceptional Quality, and Extraordinary Value. ST. PAUL, MINNESOTA – Fantom Optics based in St. Paul, MN welcomes Jim Tooke to our independent sales team. Jim’s depth of industry knowledge and personal relationships brings Fantom Optics and its custom sunwear collection unparalleled exposure. Fantom Optics is excited to have Jim Tooke’s expertise with the recent release of the Fantom Rimless Custom Clip-on. Jim will be managing key Fantom accounts through out the Midwest and Southern United States. ST. PAUL, MINNESOTA – Fantom Optics based in St. Paul, MN continues a tradition of “Serving Our Troops.” Since 2004 Fantom Optics has actively supported and participated in the Serving Our Troops program. The premise is simple, dinner with your family. As Serving Our Troops prepares to embark on its 11th and largest effort yet Fantom Optics will once again be a part of the supporting team. Beginning November 1st, 2011 Fantom Optics will offer a limited edition Support our Troops lens cleaner. A percentage of the proceeds will be donated to the Serving Our Troops organization.